Mobiles phones, Bluetooth headsets, FM radios are all prominent examples of wireless devices. However, because wireless devices work on the basis of radiation, there has been a continuous concern about the safety risks involved in Bluetooth devices. Bluetooth is a very popular industry standard used for transferring data over small distances with the help of radio waves. It has become almost well known that the mobile phone radiations are actually deteriorating for our health. These mobile phone radiations are said to cause various health problems, even cancer, and tumors. The world has yet continuously seen a sky-rocketed acceptability of devices like hands-free earphones and Bluetooth gadgets. Are Bluetooth Devices and Gadgets Bad for Health? 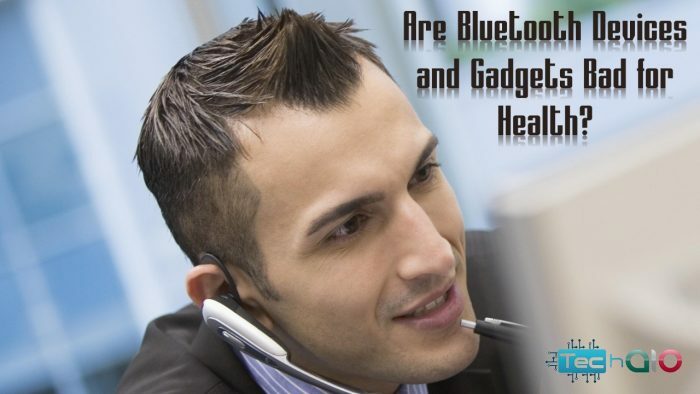 Many fear that just like the mobile phones, Bluetooth headsets also can also cause cancer! After all, it is like having a radio antenna so near to your brain! In order to render the safety of Bluetooth radiations, it is necessary to compare it with the radiation from cell phones. The radiation caused by cellphone has been widely studied. Scientist wanted to explore the health risk, especially when it came to cancer regarding these radiations. Food and drug administration of America revealed the fact that numerous studies have failed to show the connection between the disclosure to radio frequency from the cell phone and health diseases. Center for disease and prevention of America also was unable to find any possible link between the use of Android-based devices and health ailments, still, the studies are underway to find the possible risk that causes health effects. However federal communication commission has strongly prohibited the use of cellphone among the kids because the intensity of radiation might cause a serious headache, migraine, dizziness and memory loss among them. It has been also observed that with excess use of cell phones the average sleep of a person is disturbed and causes nausea and leukemia. The cellphones transmit signal from an antenna that might be many kilometers away, but Bluetooth headsets only reach to the phone in your pocket. Mostly the range of Bluetooth headsets is only 10metres (30 feet).This conveys a good news for all Bluetooth users out there that these radiations are thousand times lesser than that emitted by cell phones. That’s why concerned authorities prefer using hand-free gadget including Bluetooth headsets if you are worried about the disclosure of smartphones. Radio frequency will be increased near your body by using the hands-free headset that is directly connected to your phone. These headsets will substantially decrease the exposure since the phone is kept away from the head in the users’ hand or in certified body-worn accessories. 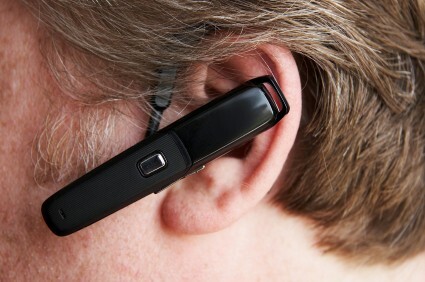 Another tip is to use speaker mode or a hands-free device like the corded or cordless earpiece. This moves the antenna away from the person’s head which subsequently eliminates the amount of radio frequency that reaches to the brain. The concluding line is that Bluetooth is safe for you. It is as safe to you as your FM radio. Question is, how? On 31st May 2011, the WHO (World Health Organization) confirmed that the overuse of cell phones might be the root cause of some long-term health risks. Mobile phones emit high powered radiations and so mobile phones are dangerous for health. This is because cell phones have to send the signals miles away to the base station. On the other hand, the range of Bluetooth is shorter, i.e. within 100 feet or so. This is to state that Bluetooth need not carry high energy radiation with them. In fact, it carries the comparatively negligible amount of energy. Bluetooth uses the microwave frequency of about 2.4 GHz. At the same time, an FM radio uses 87.5 to 108.0 MHz spectrum. But it is not the frequency of the wave that directly matters. All that decides if a radiation is harmful or not, is the energy carried by the wave. Bluetooth waves are never required to go to long distances and so they carry lesser energy. It is often rightly suggested to prefer using a Bluetooth headset because not only it cuts the problem with tangles of wires, but also increases the distance you keep from your mobile. The point is that the actual problem is the cell phone itself and not its peripheral Bluetooth devices. In fact, Bluetooth headsets aid you to keep the cell phone away from you and that is more of a help. The Bluetooth device helps you focus on your driving and help in avoiding the cell phone distractions. That is driving laws also permit the driver to carry hands-free device if it is important to attend the calls while driving. The safest mode is to switch off your cell phone while driving but Bluetooth headsets at least help in keeping your hands and eyes focus on the road without any health issues. This concludes that Bluetooth headset is safe and better the cell phone frequency that severely damages the nervous system and becomes a cause of many ailments. Whether you are tensed about the radiation or cautious about driving Bluetooth devices are the number one solution for you. This means that for attending an important call try using Bluetooth devices in order to save yourself and others from the harmful radiations. Bluetooth gets a clean chit. So, go grab your Bluetooth headsets without worries and enjoy using mobile phones in a more convenient way!